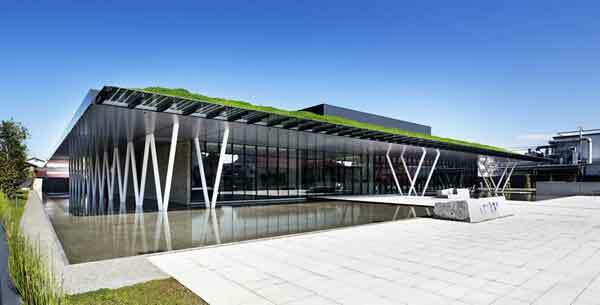 Yanmar Museum has received the “Sustainable Building Award” from the Japanese Institute for Building Environment and Energy Conservation (IBEC). This award is granted to outstanding pieces of architecture, that also contribute significantly to environment preservation by way of energy conservation and reduced environmental impact and low carbon emissions. These environmental contributions were made possible owing to the fruitful collaboration among the three enterprises involved in the design, building and ownership of the Museum. In addition, the Museum received high evaluation for successfully merging Yanmar’s corporate values into the core concepts of environmental preservation and resource recycling technologies. 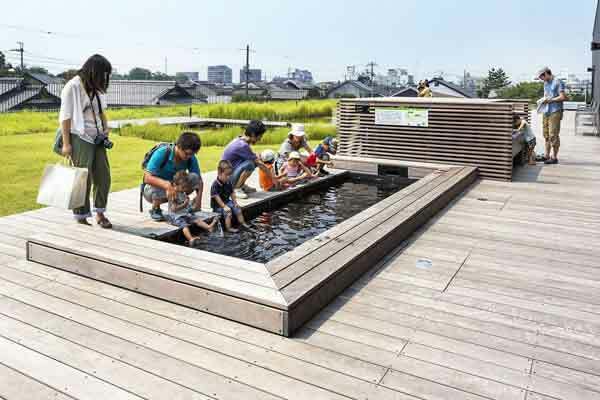 The ingenious design of the building provides an interactive, family-friendly environment, where children can learn and community ties can be strengthened. The Yanmar Museum was established in March 2013 in Nagahama, Japan, birthplace of our founder, Magokichi Yamaoka, as part of Yanmar’s undertakings that marked a century of operations. Focusing on the Yanmar Group’s three business domains of the land, the sea and the city, the Museum showcases Yanmar’s enterprise, working in harmony with nature in the fields of food production and harnessing power. The Museum is based around the concept of imparting a lasting and unique experience to visitors through rich and varied exhibits, workshops and hands-on farming programs.